Leading self-storage specialists Lok’nStore have installed Jewers’ Swift bi-folding doors for customer access at their depots throughout South and Central England. 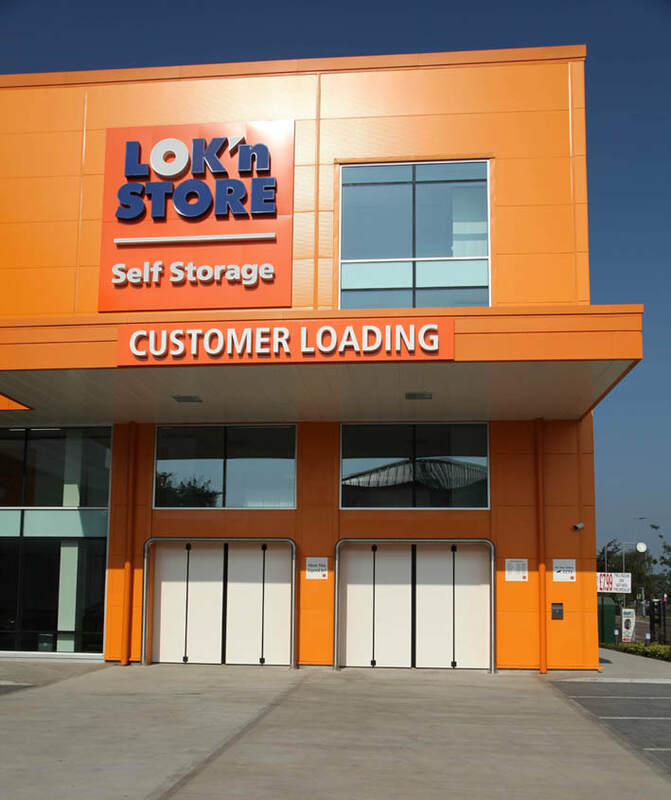 Lok’nStore Group Integration Manager Tom Lampard explained, “These doors are being used day in and day out so they had to be durable and low maintenance as well as secure to protect our customers’ precious belongings. Customers can turn up at any time during opening hours when they want access to their property, and it’s not practical to have fully trained staff on hand just to operate the doors. Therefore the doors had to be easy for anybody to operate, and safety was a key issue to avoid any mishaps during operation. The doors supplied and installed by Jewers were manual versions of the successful Swift bi-folding doors. These robust doors are designed for heavy duty applications, and the low resistance hinges ensure continued effortless operation.